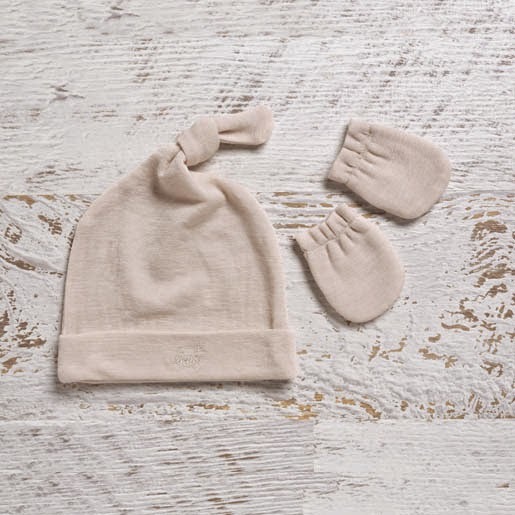 I was recently given the opportunity to select and review items from the gorgeous and extensive Merino Baby range which includes all the baby essentials you could wish for - dresses, bodysuits, cardigans, coveralls, hooded tops, pants, vests, mittens, hats, wraps and sleeping bags. Let me tell you, picking a few favourites was not easy - so many gorgeous things that I adored. In the end I opted for their beautiful dresses, in a few different colours, and a cardigan in the range. When I opened the parcel, my heart literally skipped a beat - they were divine and so super, super soft! Living in Melbourne Merino Wool products are perfect - they are light and breathable for the warm weather (which is not often at the moment, it has been so cold!) and perfect to keep the heat in when it is chilly (which is most of the time). Most people associate wool with itchiness and abrasiveness on the skin, but let me tell you pure Merino Wool is anything but. All Merino Baby products are so soft and cozy on a babies sensitive skin. Miss C is prone to rashes and execma, but this did not cause any irration on her precious little skin. The products are also very comfy and non-restrictive, so as you can see bub can move around with the greatest of ease. Miss C is starting to crawl around everywhere as you can see! The stunning navy and grey dress pictured on Miss C is sized as a 1 (12-18) months and Miss C is 10 months (tomorrow), and this is a great fit for her. Not only does it look pretty teamed with her ballet flats, but will look great layered with tights and leggings for the cooler weather as well. I love the classic, timeless style of this dress so much (wish it came in my size! ), that I couldn't resist ordering it in a few different colours in a size 2 (18-24 months), which will suit her for next Autumn and Winter time. As a busy Mum, I absolutely love just how easy Merino Baby products are to care for, all are machine washable. I usually pop mine in a lingerie bag and pop in a normal cycle (with like colours) and it is washed to perfection! Dying to try the range too? I don't blame you! For one lucky reader, I have one gorgeous Hat and Mitten set to give away! Perfect for newborns or for that ultimate new baby or baby shower gift, the lucky winner is going to love this (in their choice of colour of course). Simply follow the Rafflecopter prompts below for your chance to win this set, total prize value is $29.95.